Bring the power of SBC Horizon to your Windows desktop, laptop, Android or iOS device and access a range of value added features to ensure your colleagues and customers are always in contact. SBC Horizon offers a number of key measurements through ts reporting section. However, there is a growing requirement for more in-depth call management reporting and wall board integration to help businesses gain a real-time understanding of calls. Through our partnership with Akixi, the leading hosted call-management service provider, you can now get a data feed for your SBC Horizon service, which will let you export the statistics you need to help manage your business. • Accessible from any internet-enabled device. • Abandoned call recovery – Missed a call? The desktop wallboard can be customised to suit your company’s specific needs. 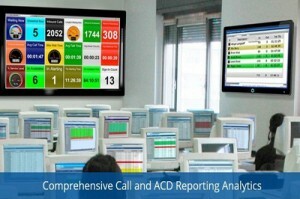 It offers a display of real time call statistics in large individually configurable tiles where each statistic can have a specifically configured alarm. 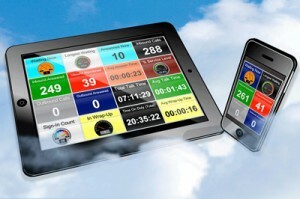 The desktop wallboard offers you a fantastic overview of your business’s performance. The desktop wallboard is compatible with SBC Horizon and Panasonic PBX telephone systems. Unleash even more of Horizon’s capabilities across your desktop with SBC Horizon Integrator. Horizon Integrator is a powerful piece of software that gives you control of your Horizon service from your desktop without having to log in to your Horizon Portal. It also provides interaction with key programs such as Microsoft Outlook® and Skype for Business®. Our CRM Integrator can be added to enable easy integration with your CRM program, in addition to the full set of features Horizon Integrator offers. Integrator CRM takes the Integrator software a step further. Compatible with over 20 of the top CRM packages including Salesforce, Sage, ACT! and Microsoft Dynamics, Integrator CRM helps users to be even more efficient and productive by providing quick access to contacts and the ability to dial directly from your CRM system. Bring the power of SBC Horizon to your Windows desktop or laptop, and access a range features to ensure your colleagues and customers are always in contact. 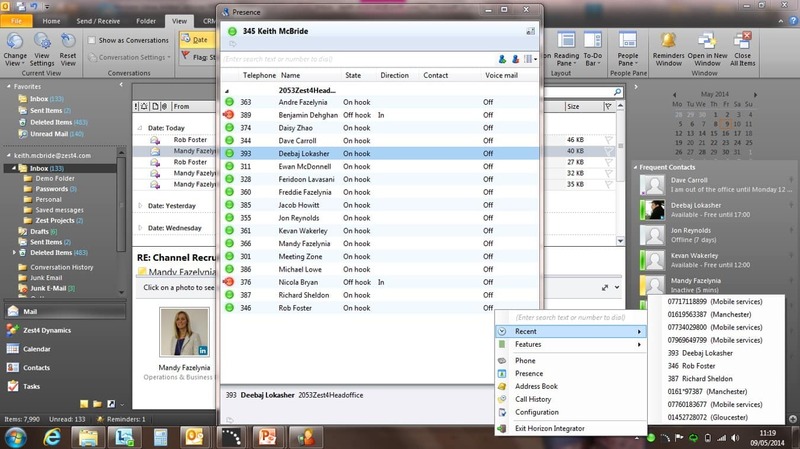 The SBC Horizon Desktop Client lets you connect your office phone to your preferred business device, such as a laptop or PC. It works seamlessly with the SBC Horizon service to ensure that you can control your user account and handle calls efficiently, wherever you are. The SBC Horizon Desktop Client provides a new way to interact with SBC Horizon and using existing devices you can reduce the cost of entry to a hosted solution, as well as minimising telephony costs incurred whilst on the move or in different locations. 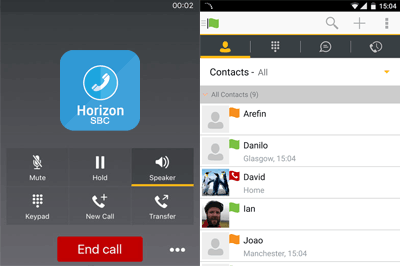 New features such as Presence and Instant Messaging add to the core SBC Horizon services and provide an informed way of communicating with your colleagues, as well as giving you a new route to gain immediate responses when it might not be convenient to speak on the telephone. For more info on SBC Horizon – Contact SBC today!